This is another Scheduled post for me as I will be travelling back from Spain today after a well earned break! So today I thought I would show you a few more samples that I made using the gorgeous scene dies from Nellie Snellen. 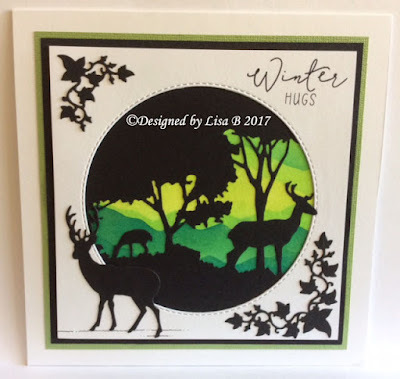 I ordered these dies in for ideas for the class and totally fell in love with them once I started using them, they are perfect for quick and easy Christmas cards or even winter Birthdays. I created a layered background with Distress Inks using a Leane Creatief die Houses, Clouds and Mountains. 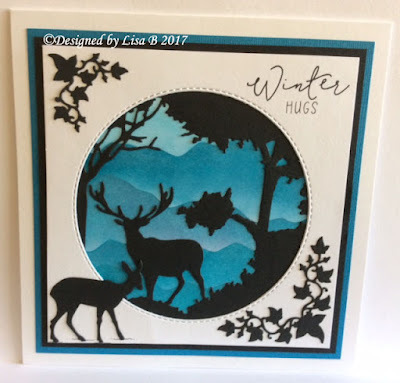 I cut a mountain background from card and used this as a mask and then added Distress Inks in coordinating band colours. I just love this look. 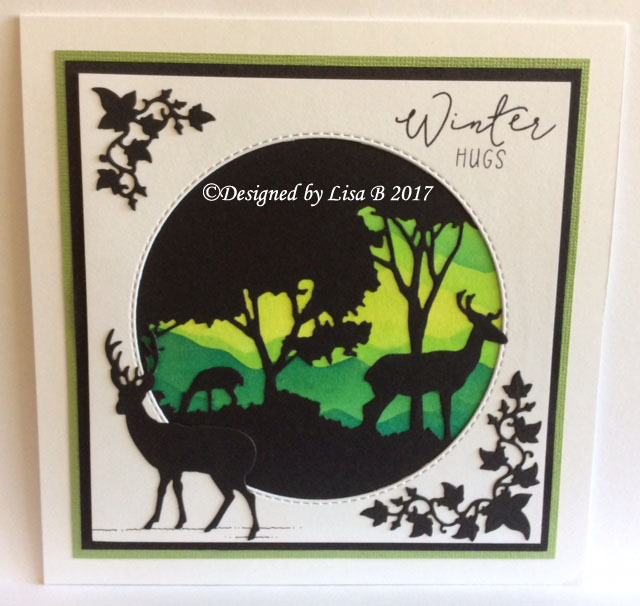 I die cut a black layer with the Nellie Snellen Christmas Window Scene 2 and then I die cut a circle from white card to add as another layer over the top to frame the scene. and different colour distress inks and then again embellishing with Marianne Design Ivy Corners and a sentiment. Well I hope you have enjoyed having a peruse today, it is a quickie from me as I have much to do but I will be back with you next week.